Do you love the look of crown moulding but can’t afford it? Maybe it’s just a little too difficult for you to install on your own? Well, we have a solution for you. Place the square edge along the ceiling and secure with nails. 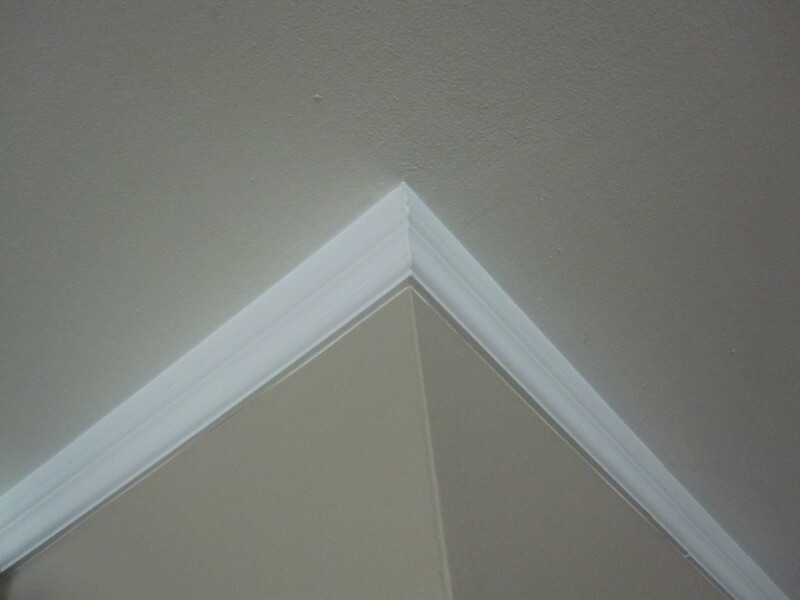 This trim is very easy to install and is more affordable than actual crown moulding. 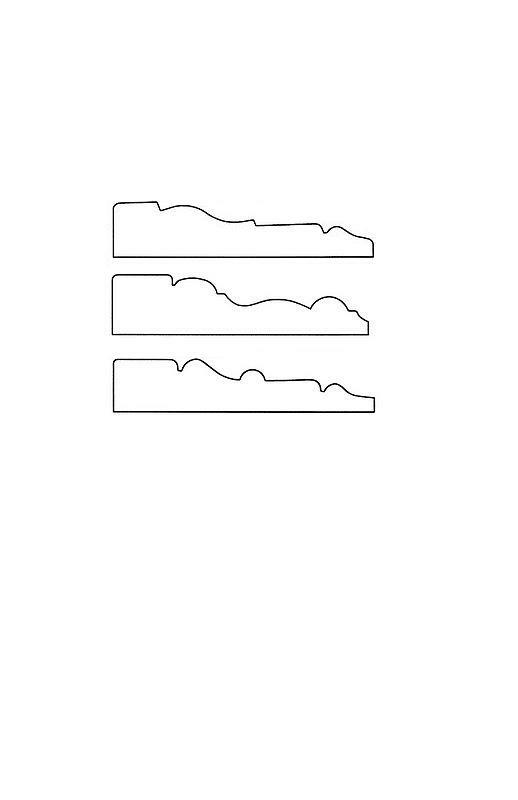 Of course, the ‘crown’ moulding won’t have a 45 degree angle from the wall to the ceiling. Paint the ‘crown’ the same color as the rest of the trim and it will make the room look polished. What a great idea! I’ve been wanting to install crown in the dining room and bedrooms but have been a bit scared to do so by myself. I think I can do this though! Thanks for the idea! 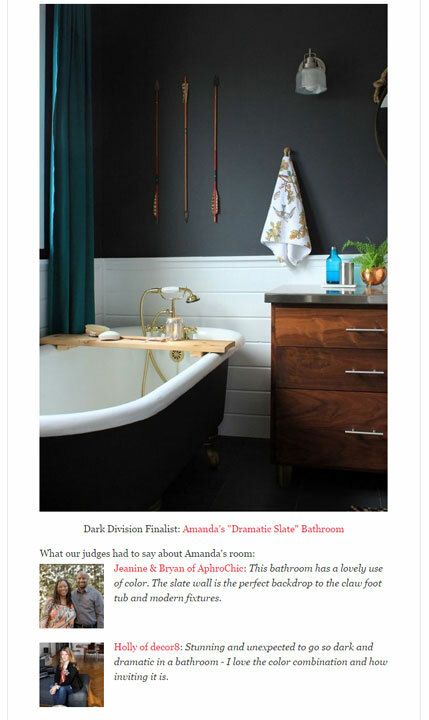 This is a great idea and one we actually had to use in our last home because the walls were so “off-square” (is that a word?). It worked out fine. 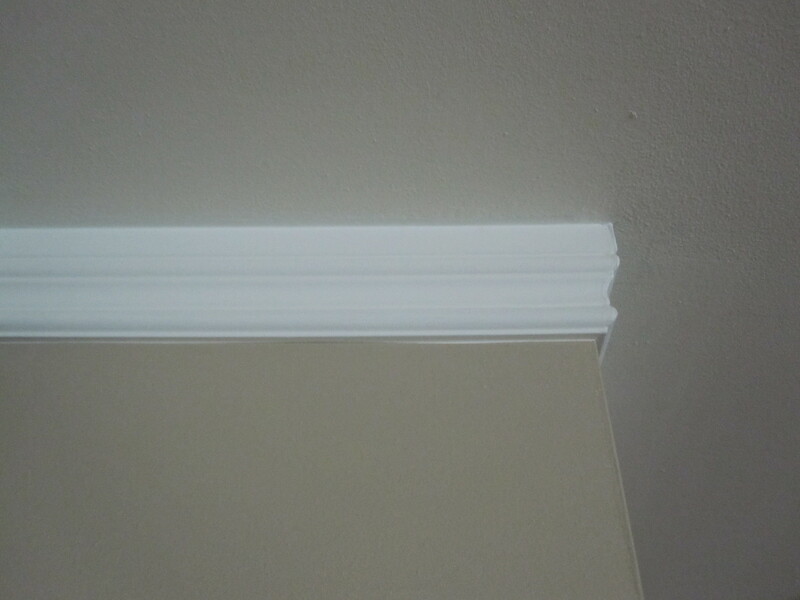 In our current home we had several rooms with simple cove molding as the crown. In order to beef it up I installed a decorative casement molding directly below the cove molding. After caulk and paint, no one would ever know! In our first home we used this technique for the same reasons as Martha. In some areas we actually left an open space between two pieces of trim and painted it all out white. It looked just like really wide crown molding and unless you were 8 feet tall couldn’t tell that it was two pieces of inexpensive trim. Yay, I’m glad you’ve been inspired! It’s definitely an affordable and DIY friendly solution. I’ll look forward to seeing pictures if you give it a go. Hi, I love your blog! We are preparing to try our hand at some trim work and I was wondering what “tool” you and your husband use for installation, nail gun, etc? I have been looking at nail guns but a little intimidated on which particular one to buy. Thanks! Thanks so much for your kind words! Ben actually uses a chop saw to cut the pieces and a Porter Cable brand finish air nailer to install the trim. 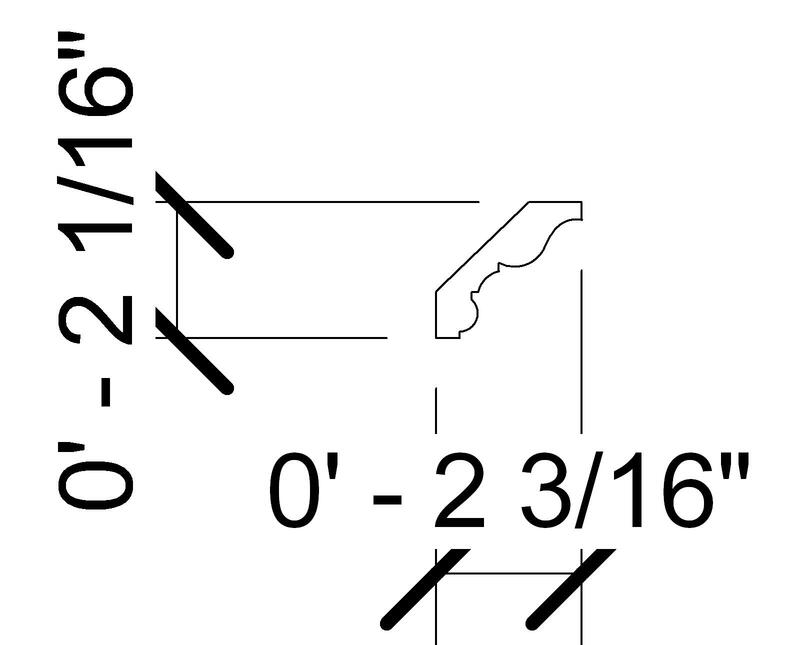 Here’s a nailer that is similar: http://www.homedepot.com/webapp/wcs/stores/servlet/ProductDisplay?storeId=10051&productId=100672162&langId=-1&catalogId=10053&ci_sku=100672162&ci_src=14110944&cm_mmc=shopping-_-googlebase-_-D25X-_-100672162&locStoreNum=2807&marketID=101 Home Depot has a great selection, but do use a finish nailer to minimize the holes. Hope it helps and best of luck on your trim adventures!